If you love Reese’s Peanut Buttercups or Reese’s Pieces as much as my husband does, you will love these Peanut Butter Chocolate Chip Cookies! They are chewy with a slightly crisp edge, making these the best cookies ever! I am very picky when it comes to the texture of cookies. I love my cookies chewy and soft. So this is my go-to recipe when I want some yummy chocolate chip cookies. Get your milk ready, its cookie time! Preheat oven 350 degrees. Line two cookie sheets with parchment paper. 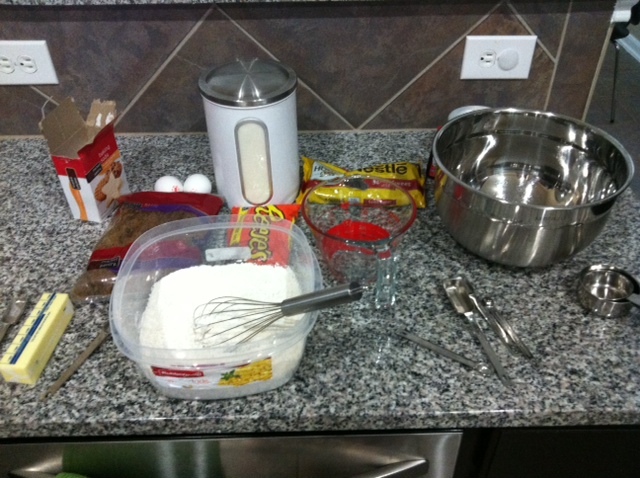 Whisk dry ingredients together in a medium bowl; set aside. With a mixer, mix butter and sugar until thoroughly combined. Beat in egg, yolk, and vanilla until combined. Add dry ingredients and beat at low-speed just until combined. Stir in chocolate and peanut butter chips. Use a melon scooper to scoop out dough. Drop dough about 2 inches apart on baking sheets. Bake until cookies are golden around the edges, but still soft in the center, for about 8-10 minutes. Optional: add extra chocolate chips on top. Remove from oven, and let cool on baking sheet. Transfer to a wire rack, and let cool completely. 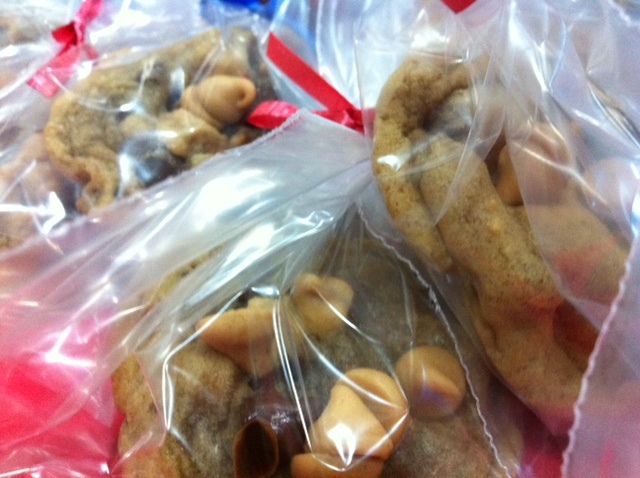 Store the cookies in an airtight container at room temperature up to 1 week. Enjoy! 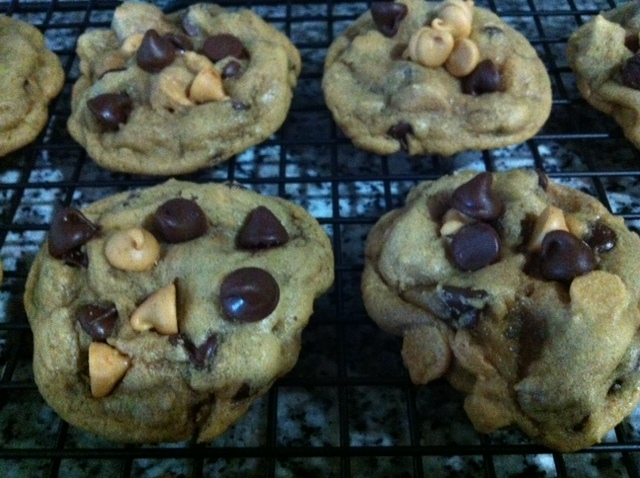 This entry was posted in RECIPES and tagged chocolate chip cookies, chocolate chips, Dessert, food, peanut butter, peanut butter chips, peanut butter chocolate chip cookies, recipe, sweet chocolate chips, yummy desserts. Bookmark the permalink.